Wade Antonio Colwell is the co-founder of Youth Equity Stewardship (YES), an arts-based, experiential and inter-generational process of transformational stewardship of our school communities. As an educator engaging the creative/cultural modalities of song, spoken-word, movement, ceremony and restorative circle keeping, Wade is a rising national voice for deepening relations across generation and difference. His touring multi-media performance Borderless, with musical partner Benjie Howard, is a folk & hip hop fused journey examining the intersections of race, class, identity, immigration, sexual orientation, gender and environmental & indigenous justice. 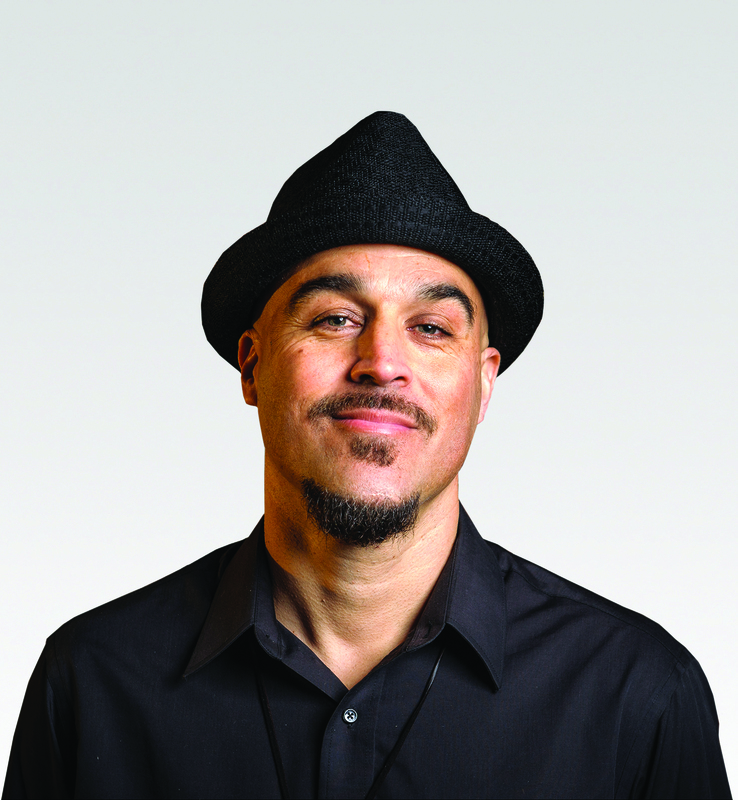 He is co-founder/MC of pioneering academic hip hip duo Funkamentalz, lead facilitator/consultant with Corwin Press (Deep Equity and Student Aspirations) and lead restorative practices educator with NYC-based Counseling in Schools. Wade is also a founding poet laureate of Tucson Unified School District's Mexican-American / Raza Studies Department. Creative Keynote Support: Offers performance elements to keynote speakers to lend a heartfelt opening to their talk. Supports speakers prior to an engagement to connect the musical pieces to the themes and topics of the talk. Youth Leadership Conference: This workshop can design and deliver a youth component to any conference or institute connect to any of the themes mentioned above. Youth Leadership Series (YES): This is a fully designed leadership program, program curriculum, and video series to work in house, in school districts, with middle and high school youth. The end result being a leadership team highly motivated, and equipped with knowledge, skills, and relationships to take action in the district as leaders for positive change. In the past these students have worked with teams of educators, have worked with peers, and worked with kids in elementary schools facilitating conversations and activities.